Heavy rains and overflowing rivers have caused devastating floods in Assam. Over 12.5 Lakh people have been affected. Hundreds of villages are reeling under water. The flood water also widely damaged the houses, agricultural fields, roads and bridges across the state. Thousands of victims including women and children are in desperate need of food. 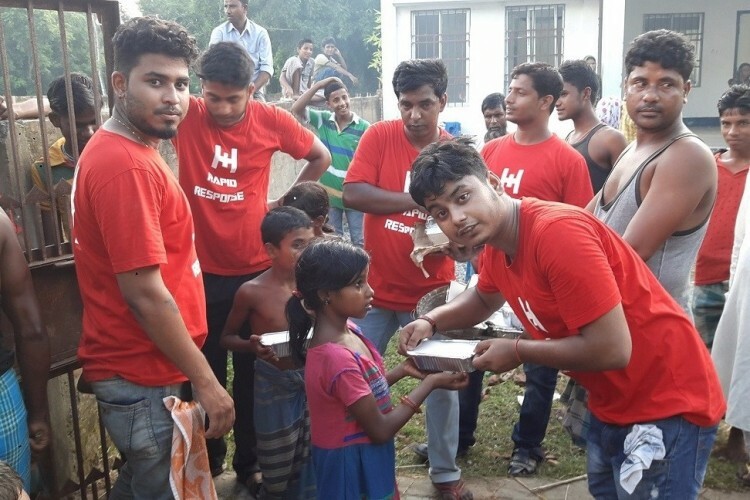 Through this campaign, we intend to distribute 10,000 hygienically packed food packets to the survivors. Each Food packet contains Veg-rice or Chapati-sabji and costs Rs 40/packet. We request you to come forward and donate. Thank you! Rapid Response is an award winning organisation, providing disaster relief and rehabilitation services across India. As a disaster relief agency, we help people to survive and rebuild their lives through our food, medical, education, shelter and livelihood programs. Our most recent interventions in Tamilnadu, Assam and Bihar have impacted thousands of lives! Rapid Response is also an N/Core Alpha Winner, recognized as one of the most promising non profits in India and rated as one of the 20 non profits solving India's greatest challenges! Your share could be as good as a donation for Rapid Response! Not everyone can afford to take care of their loved ones. Rapid Response's life can only be saved by donations made by kind people like you.